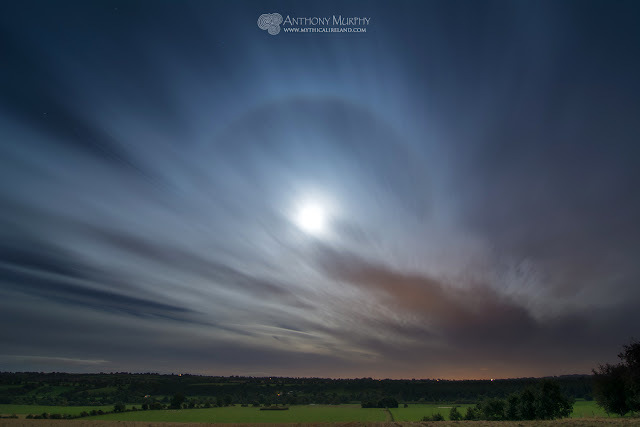 A halo around the moon over the Boyne Valley, viewed from Newgrange. On the night of a penumbral eclipse of the moon, it seemed appropriate that I should go out to Newgrange and Dowth to try to get a photo of the full moon over the valley where, anciently, people watched its movements very closely. 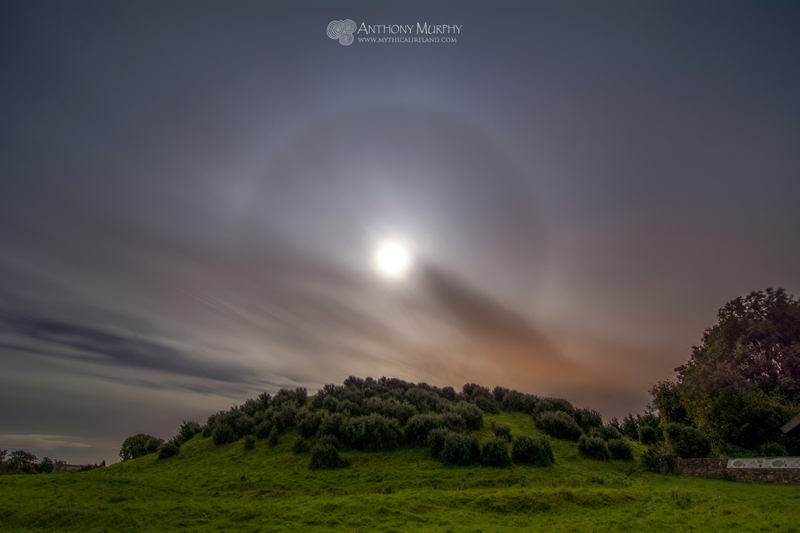 When I arrived at Newgrange, there was a giant ring, or halo, around the moon. 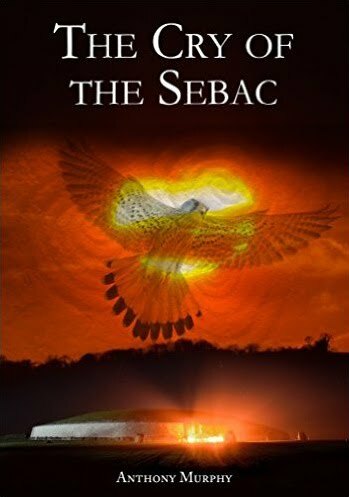 In older times, the locals would have said, in the native tongue, "Tá Fáinne ar an Ghealaigh". (1) Literally, "there is a ring around the moon". Tonight's eclipse was what's known as a penumbral eclipse, which means that only the outer part of the earth's shadow falls upon the moon. What this means in reality is that one would probably find it hard to notice that anything was happening, as the moon only dims very very slightly. It's not like a full eclipse, where the moon enters the shadow of the earth and turns a coppery red colour during totality. In terms of observable phenomena, it was much easier to capture an image of the halo around the moon than it would have been to capture a penumbral eclipse. (As it happens, the eclipse was already over when I arrived at Newgrange). The halo had changed as the clouds moved when I got to Dowth, whose name might be related to eclipses. With the autumn equinox only days away, the eclipse interested me even more, and that's because eclipses occurring around the equinoxes signal something very interesting - that the lunar node is at or near the sun's equinox points, and therefore the moon will be at maximum separation from the ecliptic at or near the sun's solstice points. When it is at these points of maximum separation, we get the so-called lunar standstills - either major standstill or minor standstill, depending on what part of the nodal rotation cycle we are at. This cycle lasts 18.6 years, or 230 synodic months (a synodic lunar month is the time it takes the moon to return to the same phase. So if you see a first quarter moon tonight, it will be one synodic lunar month (approx. 29.5 days) before you see its next first quarter phase. As it happens, we had minor lunar standstill in 2015, and the moon's nodes are currently drifting westwards from the equinox points. The next major standstill will be in April 2025. (1) McCionnaith, L. (1935), Foclóir Béarla agus Gaedhilge, p.812.